Litigate with Confidence. Cutting-edge litigator and expert author, James M. Wagstaffe, breaks down complex procedural issues with spot-on insights and analysis and timesaving features. Rely on step-by-step navigation of the complexities of pretrial federal civil procedure. Save time and reduce research costs with easy-to-find guidance to key issues. Take and defend positions on issues with confidence, knowing you are backed by expert litigator and author James M. Wagstaffe. View or download a brochure including the full Table of Contents. View a sample of the eBook using the ReadNow feature in your browser. 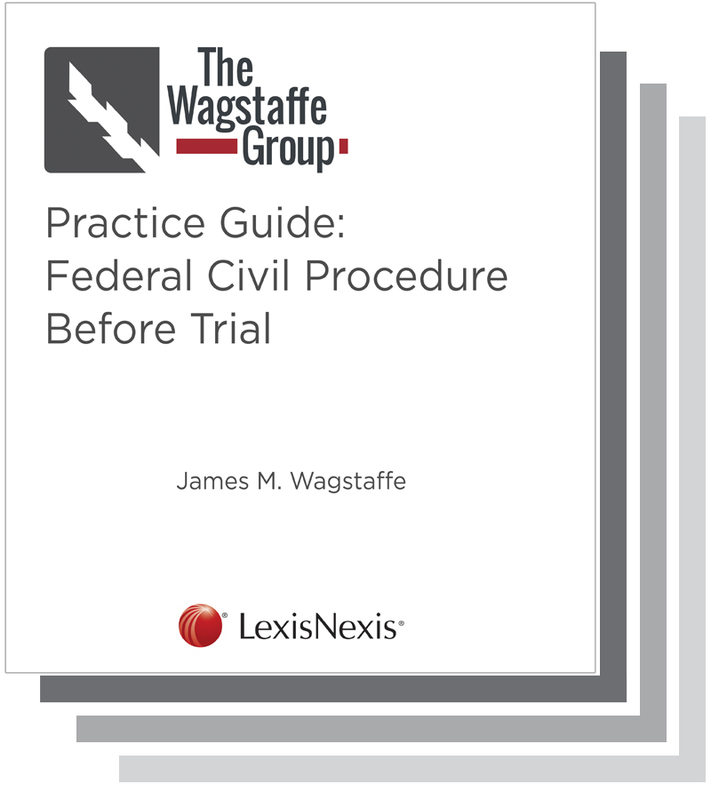 Subscribe to The Wagstaffe Group® Practice Guide: Federal Civil Procedure Before Trial. Download the map to identify the states that follow the rules of federal civil procedure. Navigate the complexities of federal civil procedure as well as state procedure for the 22 states and the District of Columbia that follow the rules of federal civil procedure. This across-the-board guide will identify the questions that lawyers and judges will ask. Along the way, it will help you understand court splits and provide you with plenty of advisory practice tips, allowing you to litigate with confidence. This publication includes numerous features, and distills complex procedural issues down to easy-to-digest pieces. Chapters are organized into Scope, Objective or Overview, Core Rules and Statutes, Checklists, and Examples. Contains dozens of detailed checklists that provide users with true practical guidance on how to complete pretrial federal practice tasks. Numerous examples and case studies highlight both common and nuanced procedural issues. Over 1,000 practice tips such as “Warning” or “Local Practice” alert the user to important nuggets of practical advice including exceptions, court splits and warnings about potential traps. Over 1,000 cross references are made throughout to other areas within the chapter, other chapters in this title and other titles, such as Moore’s Federal Practice® and Bender’s Federal Practice Forms®. A current-awareness pamphlet, published annually, features expert commentary and practical insights on legal current events like hot new cases and amendments to laws. The Table of Cases lists all of the cases cited in this set and is arranged alphabetically by case name. The Table of Statutes lists all the statutes cited to alphabetically, as well. The Index references all topics discussed in the text and footnotes. James M. Wagstaffe is the premier industry expert and authority with respect to pretrial federal civil procedure. Mr. Wagstaffe possesses an inimitable wealth of knowledge, experience and practice as a federal litigator, educator and lecturer and accomplished author. Previously a co-founder of Kerr & Wagstaffe LLP, he is currently a partner of Wagstaffe, von Loewenfeldt, Busch & Radwick, LLP in San Francisco. Mr. Wagstaffe handles a diverse range of litigation matters, and has been rated in the SuperLawyers top 100 in Northern California three years in a row. Mr. Wagstaffe currently serves as Chair of the Federal Judicial Center Foundation Board, appointed by the Chief Justice of the United States Supreme Court.  *The eBook versions of this title feature links to Lexis Advance for further legal research options. Access to the related content and videos from the eBook versions are exclusively available with a subscription to Lexis Advance.